BOLLYWOOD journalist and one of the finest film critic Yogesh Mishra was awarded with ‘Best Film Critic’ award at ‘Kaljai Leera The Soulmate Award’ held in Mumbai. 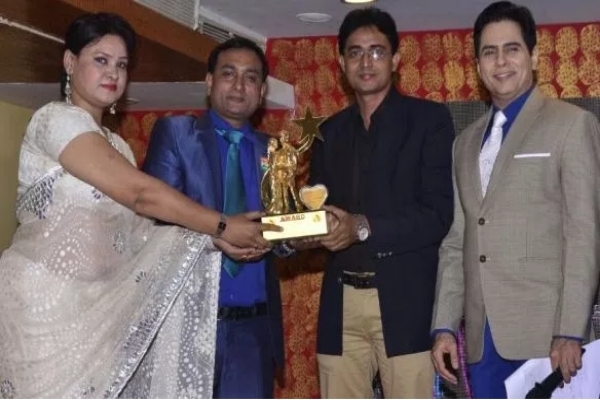 The award function was set on fire by renowned actor Aman Verma and actress Leera Kaljai. He further added, “My journey from a small town to the city of dreams, Mumbai was impossible without the support and blessings of my elder brother Shri Ganesh Mishra who is also my inspiration.” Many eminent personalities from the different walks of industry attended the award show. Apart from Yogesh Mishra, many others were also awarded for their contributions to Bollywood. Yogesh Mishra who began his career in 2003 is currently the Editor-in-Chief of ‘Bollywood Town’ magazine. He is vastly experienced and has worked with many leading media companies in Mumbai.